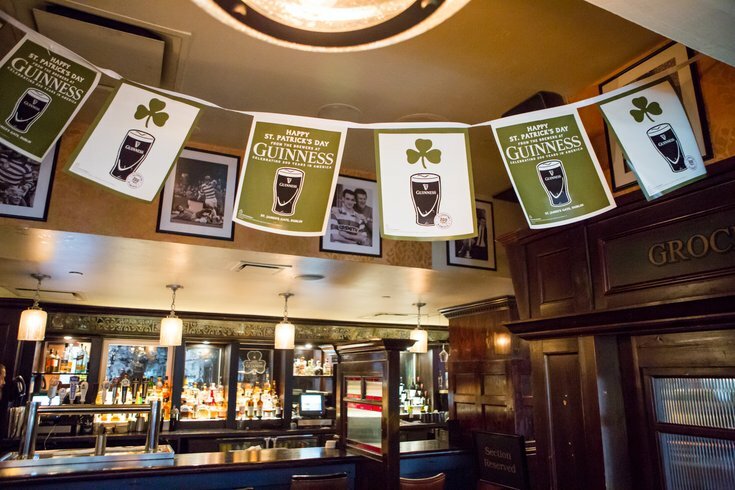 St. Patrick's Day banners hang at Fado Irish Pub. Partying on St. Patrick's Day should be treated like a science. There are so many important variables to consider: Which bar will be fun, but not packed? How expensive will the beers be? What's the weather forecast like and how willing am I to stand outside in 20 degree weather? How well will I pace myself with those Guinnesses? And when is it time to just go home? Experts at WalletHub broke down the pros and cons of 200 major U.S. cities to find the best places to celebrate St. Patrick's Day (which, by the way, is a U.S. invention). Seventeen major criteria were measured including weather, the average cost of a beer, access to bars, and the percent of Irish population in each city. Turns out, Philadelphia is the second best place in the U.S. to celebrate St. Patrick's Day, according to WalletHub's criteria. Chicago ranked No. 1, scoring highest for its traditions — they've been dying the Chicago River green since 1962 — and moderately ranked for weather, cost and safety and accessibility. Philadelphia's St. Patrick's Day Parade dates back to 1771, making it the second oldest in the country. We have a large parade that runs around City Hall and down Market Street and there are a ton of places to drink right around there. In fact, in the category for most Irish pubs and restaurants per capita, WalletHub ranked Philly fifth. 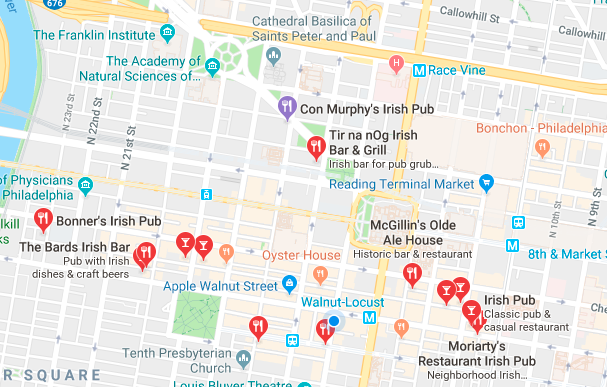 A quick Google search for Irish bars in Center City returned 20 results. Philly's 2019 St. Patrick's Day Parade starts at 11 a.m. Sunday, March 10, at 16th Street and JFK Boulevard. From there, the parade route winds around City Hall and down Market Street to a performance area at Fifth Street. Here is a route map and where Irish dancers will be performing.